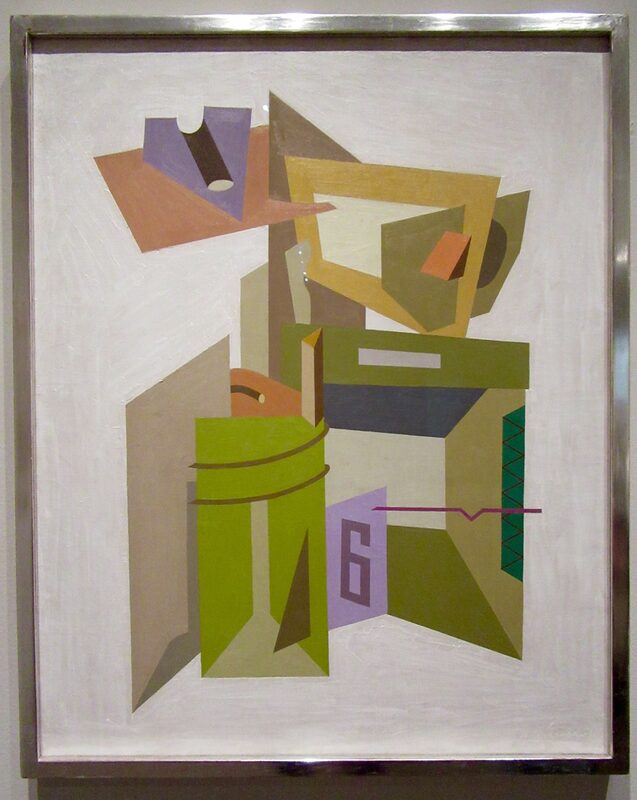 Influenced by the Cubist language of flat, overlapping planes and wedges, Stuart Davis (1892 – 1964) used geometric shapes in related colors to create this still life, Percolator (1927). Here, he deconstructs the cylindrical forms of a mass-produced, percolator coffeepot and renders the everyday object both abstract and undefinable. By choosing an industrially produced consumer product as his subject, Davis put a new spin on the spatial innovations of the previous decade’s European avant-garde art movements.